I walked into Target the other day with my wife and immediately stopped to get some Starbucks coffee. My wife explained that some holiday-flavored coffee would help me get through a “shopping experience.” I don’t mind coffee as long as it tastes like it has a Snickers bar in it. We laughed and I walked away thinking that as Christmas continues to grow and expand its calendar boundaries, is Thanksgiving a holiday that is getting swallowed up in the waves of Christmas preparation? It used to be that the lights went up and the house was decorated after Thanksgiving, but now it seems like we immediately go from Halloween to Christmas. The events of December must be planned further in advance. The shopping starts in early autumn. The planned giving and charitable causes are initiated earlier and earlier in the year as many churches and non-profit organizations depend on end of the year donations. All of this causes Thanksgiving to sort of be an appetizer for the main meal in December. Perhaps just being thankful is on the decline. Earlier this year on a visit to China, it was explained to me that each of the ancient Chinese dynasties were overthrown after the 20th generation. Apparently, each generation following the one that came to power would become less appreciative and less willing to make the sacrifices to sustain the dynasty. My generation of baby boomers is not the same as the World War 2 generation. My children are digital natives and I feel like a digital immigrant. Each succeeding generation has greater affluence and greater challenges. One of those challenges is to be intentional in bringing to remembrance the things that we all should be thankful for. Sometimes it takes a crisis to remember what we should be thankful for. I grew up on the East coast of Florida remembering how communities came together when a hurricane would blow through. I remember how America responded when our World Trade Centers and Pentagon buildings were attacked on September 11th and thousands lost their lives. Everyone paused to be thankful. Recently, more than 100 people in Paris lost their lives in senseless bombings and shootings. Many were injured and many more families and friends were affected by the loss. The ripple effect of a tragedy is widespread and part of that ripple effect is the sense of thankfulness from people who did not suffer any direct personal loss. Thanksgiving was a holiday that was established so that we would never forget to remember. We would take time to remember how blessed we are. We would be able to do that without a tragedy to remind us of everything that we take for granted on a daily basis. Football, food and family are some of my favorite things and they are all on display at Thanksgiving, but perhaps faith has been forced to the outskirts and should be invited back to the dinner table. Thanksgiving comes in many forms and in many ways through out the year. Any trip to a third world country or a mission’s trip to an overseas orphanage and we are reminded of how blessed we are. But one does not have to go to a foreign land to find thanksgiving. Why not spend this Thanksgiving volunteering? Serve food to those who are hungry. Provide warmth and encouragement by lending a hand to someone in need. “Hands for Healing” is a community based non-profit organization that exists in Palm Bay to help people who are hurting. They feed almost 500 people a week. You can contact them through their Facebook page, “Hands for Healing International” or their website, www.hands4healing.org. Help others and you will preserve Thanksgiving. Not just as a holiday but as a special place in your heart. 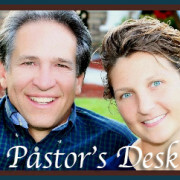 http://pastordavidmyers.com/wp-content/uploads/2015/09/Pastor-David-Myers-Desk1.jpg 242 373 Pastor David Myers Pastor David Myers2015-11-17 02:06:232015-11-17 02:14:15Is Thanksgiving a Vanishing Holiday?